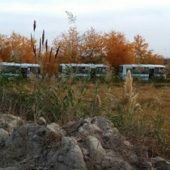 An observer for Alternative Turkmenistan News (ATN) took these photographs near the settlement of Mary GRES (Mary Power Station), 15 kilometers from the city of Mary. A local farmers’ association had brought in around forty soldiers. To keep their uniform clean some of the servicemen had taken off their padded camouflage jackets and stacked them neatly under a nearby tree and were picking cotton in just their T-shirts. “There aren’t even any hired pickers at the end of the season – no one wants to go out in the cold for just 0.20 manats [just over one American cent] for a kilogram of cotton,” cotton farmer Nurgeldi said. 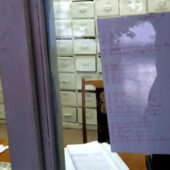 Tenant farmers who for whatever reason cannot finish the season themselves reach agreement with the officers at military units, he explained. 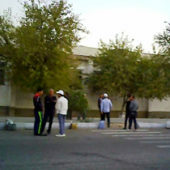 The pay is the same – 0.20 manats per kilo, but the soldiers do not even receive the cash, as the officers take it to spend on drink. 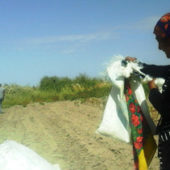 ATN observers also saw soldiers being used as forced labor in the cotton fields of the northern Dashoguz region. 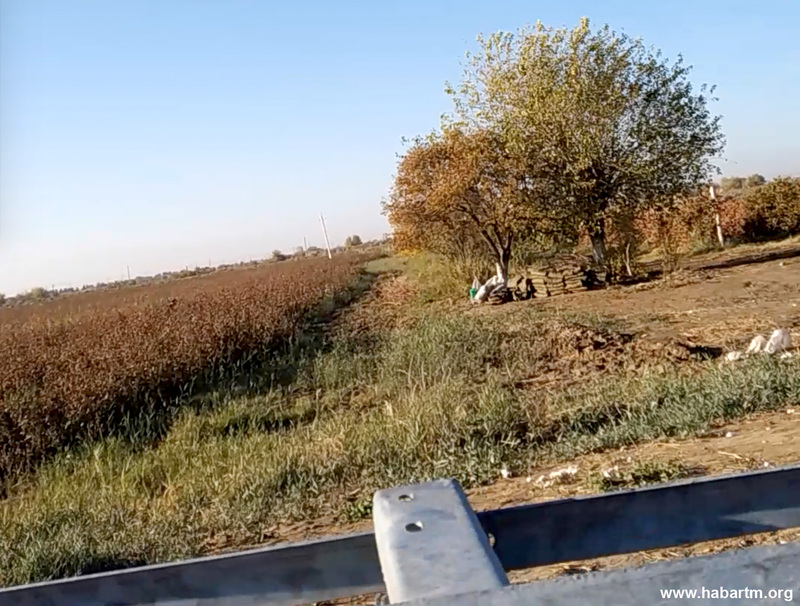 Commanders of a military unit on the outskirts of the city of Dashoguz, near the village of Garadashly, took soldiers to the fields in Uch Kepteri in Gurbansoltan-Eje district (former Yylanly district). The mobilization of soldiers and public sector employees to the 2018 cotton harvest is further confirmation that the country’s leadership is ignoring the alarming reports of the exploitation of people in the cotton fields and continuing to rely on forced laborers doing this arduous work by hand.